This month we are thrilled to feature the 2013 Davidson Fellows! The Davidson Institute for Talent Development was formed in 1999 by Bob and Jan Davidson to recognize, nurture, and support gifted young people and provides opportunities for them to use their talents to make a positive difference. We love everything that this foundation stands for, and we can’t wait for you to learn more about them! Every year the Davidson Institute for Talent Development selects students for their Davidson Fellows Scholarship based on significant projects in science, technology, engineering, mathematics, literature, music, philosophy, and outside the box. 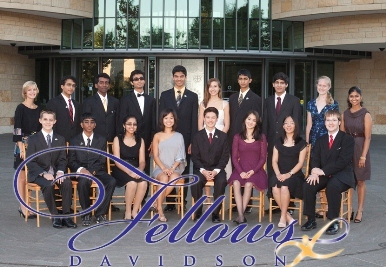 These “Davidson Fellows” are awarded $50,000, $25,000, and $10,000 scholarships for their extraordinary accomplishments. 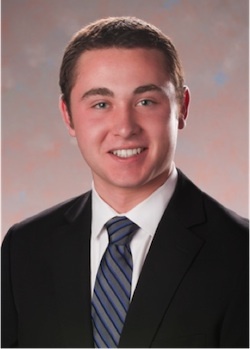 In 2013, the Davidson Institute for Talent Development announced 20 scholarship winners. Amazing Kids! caught up with a few of these gifted students, and you will be blown away by their extraordinary talent. From stunning mathematical research to outstanding literature projects, these teens show us that we really can achieve greatness if we put our minds to it. Keep reading this super-sized Amazing Kids! of the Month article to learn more about the 2013 Davidson Fellows and how you could be next! Keep reading to learn more about some of the 2013 Davidson Fellows. 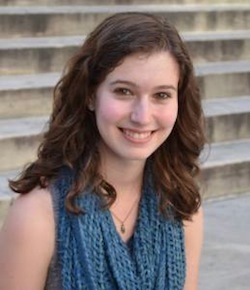 Hannah Larson, 19-year-old rock star mathematical researcher. 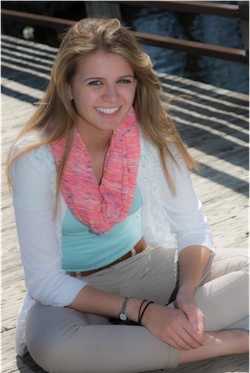 Hannah Larson received a $50,000 scholarship for her math research project studying fusion categories. “Fusion categories are a fundamental mathematical concept that appears in many areas of math, as well as in theoretical physics and computer science,” she explained. For Hannah’s research project she classified a fusion category that was previously unsolved. Hannah first started working on this project after taking a course in abstract algebra. Her research is truly incredible and will greatly contribute to the body of mathematical knowledge. 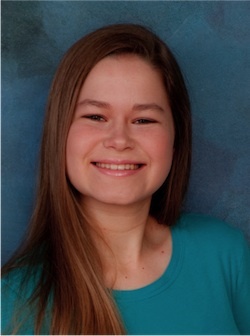 Of the David Institute for Talent Development, Hannah said the competition “is recognized as one of the most prestigious scholarships open to high school students. I am incredibly honored to be a Davidson Fellow Laureate.” Hannah currently attends Harvard, and plans to concentrate in mathematics. “I want to become a professor at a research university because I enjoy teaching, and I want to continue doing math research,” she said. We can’t wait to see what Hannah solves next! David Steinberg, 17-year-old creator of the Pre-Shortzian Puzzle Project. David Steinberg created a database that quantifies the evolution of the crossword puzzle. His project, the Pre-Shortzian Puzzle Project, is a collaboration of more than 40 volunteers to build a digitized, fully analyzable database of more than 16,000 New York Times crossword puzzles created before Will Shortz was the editor. When we spoke to David in September 2013, 30 years of puzzles had already been digitized with half of those proofread. They are available on XWord Info, a website created by former New York Times crossword blogger Jim Horne. “I’m hoping that someday every single New York Times daily and Sunday crossword puzzles ever published will be available on this site so that constructors and solvers will have access to the works of long-forgotten constructors,” David said. Just imagine! These puzzles could give us insight into the culture of our ancestors as well as the development of American-style crossword puzzles. Lilia Popova, 18-year-old incredible biologist. Lilia Popova’s amazing project that helped her be named a 2013 Davidson Fellow is Elucidating Environmental and Genetic Mechanisms of Magnetically Altered Plant Growth. If this sounds like an extremely intelligent mouthful that is because it is! Lilia examined the ways plants are affected by static magnetic fields, and she discovered that magnetic fields effect nutrient and water cycling in soil environments. What does this mean? Magnetic fields can be used to improve plant growth. In the future we may be able to prevent genetic damage to plants, which could improve agriculture produce and increase food production worldwide. This is a truly amazing discovery! Way to go Lilia! 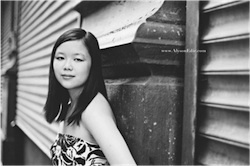 Lilia currently attends Stanford University and is studying bioinformatics. She would like to pursue a MD/PhD and have a research career in the medical field. We don’t doubt for a second that Lilia will continue to discover amazing findings! Kailee Pedersen, 18-year-old literature master. As a Chinese adoptee, Kailee Pedersen didn’t feel accurately represented by “stereotypical depictions of Asians in modern media.” As an aspiring author, Kailee turned her frustration into a creative outlet and now has a 60-page portfolio to show for it! Her project includes her portfolio “The Transliteration of Flesh: Dismantling the Metanarrative,” two accompanying essays and a video on the subject of racism, sexism, and oppression affecting both fictional characters and real people. Kailee was also honored in Jan. 2014 as a YoungArts Finalist in writing/poetry and Merit Winner in writing/creative non-fiction by the National YoungArts Foundation! Congrats Kailee! 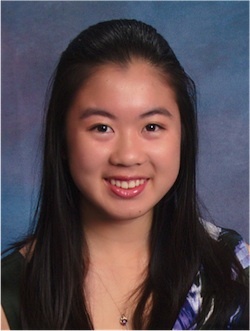 Natalie Ng, 18-year-old developer of breast cancer diagnostic test. In 2013 alone, it was estimated that over 230,000 women and over 2,000 men were diagnosed with breast cancer. “The current problem with breast cancer treatment is that even after initial hormonal therapy seems to work, cancer cells can still survive leading to cancer metastasis or recurrence,” Natalie Ng said. Natalie developed two prognostic models, which can predict metastasis in breast cancer. By being able to accurately predict the metastatic outcome, it may significantly improve the ability to predict the recurrence risk and doctors may be able to devise appropriate and individualized treatment strategies for their cancer patients. Awesome job Natalie! Natalie hopes to continue down the path of scientific research and technological innovation. We’re excited to see where her future takes her! Ajay Krishnan, 17-year-old amazing engineer. Ajay Krishnan has always enjoyed learning about math and science. He even took part in the First Lego League. For Ajay’s project he created a device that can produce electricity and hydrogen gas from wastewater using anaerobic bacteria. Current devices such as Ajay’s lose all usable electricity and only result with the hydrogen gas, but for the first time Ajay has created a device that can control the amount of electricity. Way to go Ajay! Ajay would like to eventually obtain his PhD and start his own company that develops efficient and environmental-friendly energy technologies in an effort to make our planet more sustainable. We here at Amazing Kids! wish Ajay all the luck! Emily Lipstein, 18-year-old extraordinary conservationist. Emily Lipstein has always loved animals and has had an interest in helping endangered species. It was only a natural step for her to work in a research lab focusing on conservation. For Emily’s project she studied the Mediterranean monk seal, a critically endangered and genetically non-diverse species due to an increase in seal mortality over a short period of time. By analyzing inherited portions of repeats in DNA, Emily found that there are only two distinct sub-populations of the Mediterranean monk seal. “This study provides scientific backing for conservation efforts and suggests that governments use non-invasive methods of conservation in order to keep existing populations safe and to promote the reemergence of the species in the Mediterranean Sea,” Emily said. 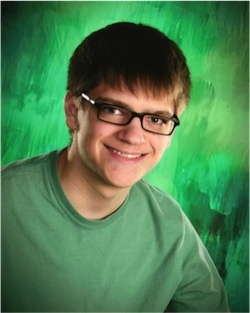 Michael Janner, 18-year-old astonishing chemist. Michael Janner knows quite a bit about the work it takes to tackle a massive project. In fact, he has had an ongoing three year research internship with Dr. Yandong Yin from the University of California, Riverside. His project that won him a Davidson Fellows Scholarship is all about manipulating light through responsive nanoscale structures. Using nano-mirrors and photonic crystals, Michael found that their photonic response spans the entire visible spectrum, and it can appear in one, two or three dimensions based on the complexity of the structure used. So what does this mean?! “These Tunable mirrors and color-changing assemblies could find use in astronomical telescopes, flexible computer and television displays, military camouflage, or anti-counterfeiting devices,” Michael said. Michael hopes to major in chemistry. Further down the road he would like to continue doing research, possibly even continuing in nanotechnology. -Alec Brenner, 19-year-old amazing astronomer. Alec Brenner, 19-year-old amazing astronomer. Did you know that while our solar system only contains eight planets, scientists have discovered almost 1000 planets in new solar systems?! These “exoplanets” are what Alec Brenner decided to research. .
For William’s project he studied equivalence classes of permutions created under pattern replacement relations, and he even came up with new proof techniques that may help future researchers! That is just incredible! 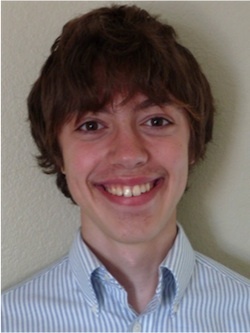 William conducted his research under the MIT PRIMES program, and he recommended that any of our readers interested in math or computer science should apply to the MIT PRIMES program, which provides research opportunities to high school students. William hopes to someday be a professor of mathematics or computer science. With his impressive start in mathematical research, we can’t wait for him to achieve his goals! 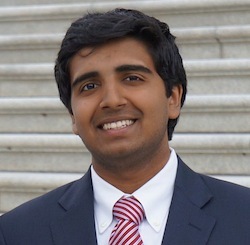 Vaibhav Vavilala, 19-year-old neuroscience scholar. 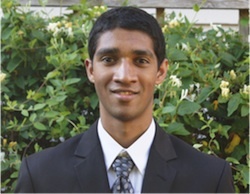 Vaibhav Vavilala was first exposed to neuroscience during his sophomore year of high school when he won the regional Brain Bee at Indiana University-Purdue University Indianapolis. “Through this experience, I had the opportunity to survey many subsets of neuroscience, such as learning, language, sensations, and perception,” Vaibhav Vavilala. He found the human memory to be the most fascinating, and started to conduct his own original research. Vaibhav’s project studies theoretical models of the brain, called neural networks, using computer stimulation. He identified one attribute of biological neurons that neural networks normally don’t describe, and he examined the effects of introducing the new property. “I showed that positive and negative threshold shifts give rise to qualitatively different behavior, and memory capacity can be tuned by varying the threshold,” he explained. What does this mean for the study of neuroscience? Vaibhav’s model showed an increased memory capacity and may help advance applications in pattern recognition and modeling brain function. Way to go Vaibhav! Currently Vaibhav is studying at Columbia University. So what do you think? Are these kids truly amazing or what?! Now it’s your turn. We want to see you set your mind to an amazing goal. Maybe one day you’ll even be one of the future Davidson Fellows! As many of the 2013 Davidson Fellows have told us, the secret to success is to do something you love and to NEVER give up! So follow your dreams, however crazy they may seem! You never know what you will accomplish until you put your heart and soul into it. It’s too late to apply to be a 2014 Davidson Fellow, but make sure to keep checking their website for future years! And don’t forget to visit www.davidsongifted.org/ to learn more about the rest of the 2013 Davidson Fellows.